Starting from day one, I tried to apply what I learned from the book of Crystal Clear to the new office. I also read a lot of articles about scrum and extreme programming as supplementary materials, but the book has been the major reference for the office and team-building. I really loved this book because it gave a flexible framework instead of a set of rigid rules. 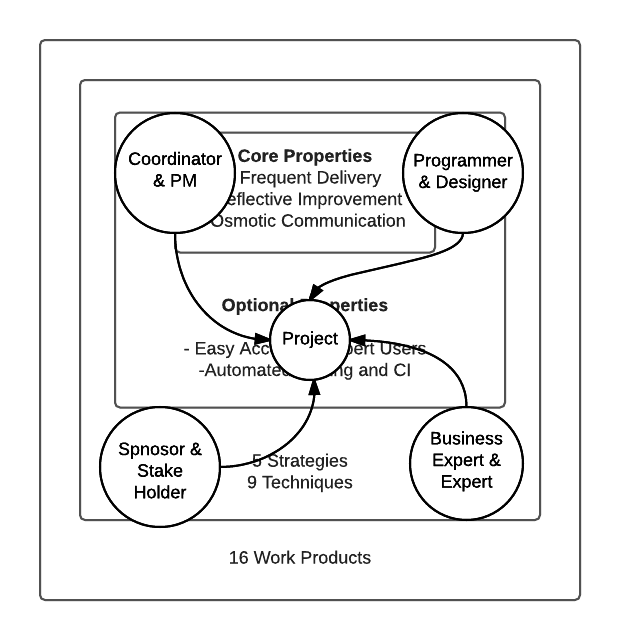 The book mentioned 3 core and 4 optional properties for project management. There are also a bunch of strategies, practices, and work products for the reference. 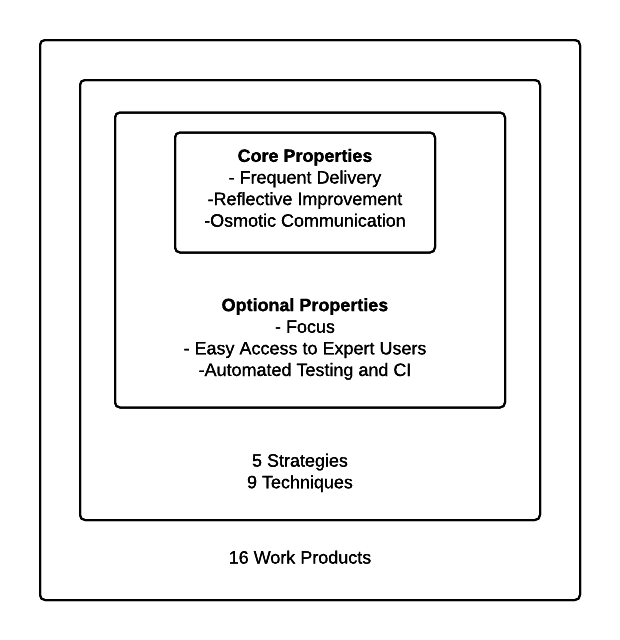 Except the very first 3 core properties (frequent delivery, reflective improvement, and osmotic communication), all others are just optional, and you could cherry-pick what suit your team the most. Here is a detailed list of all mentioned items. You are encouraged to get a book, it is a valuable collection of experiences and observations. Then all programmer, designer, customer and project managers work closely with each other. All team members meet up regularly and reviewed the problem of process, and reflectively improve the practices as time goes on (genetic process). However, when I compared the historical projects against the descriptions in the book, back and forth, I found that the problem is a little bit more complicated than that. Some items are not process related. The books described a lot of ways to improve the process, but something just got beyond that. People, individual persons, has great impacts on the success of projects nowadays. With great process and a low-quality team, you could accomplish nothing. Yet with the great team and poor process, you could still get something accomplished, though it may not be the same thing you want from the beginning. As all kinds of programming tools evolve in the world, the power of individual engineer is now bigger than ever. 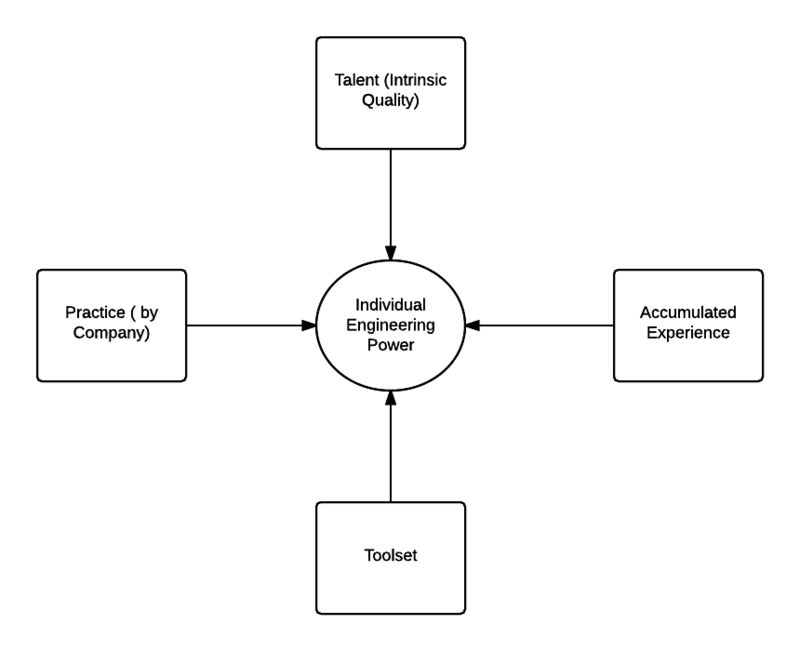 The talent, practice, and discipline should of individual engineers be as important as the process itself. The company should try to make the biggest effort to unleash the potential power of engineers, not only focusing on the best soil for the projects to grow. 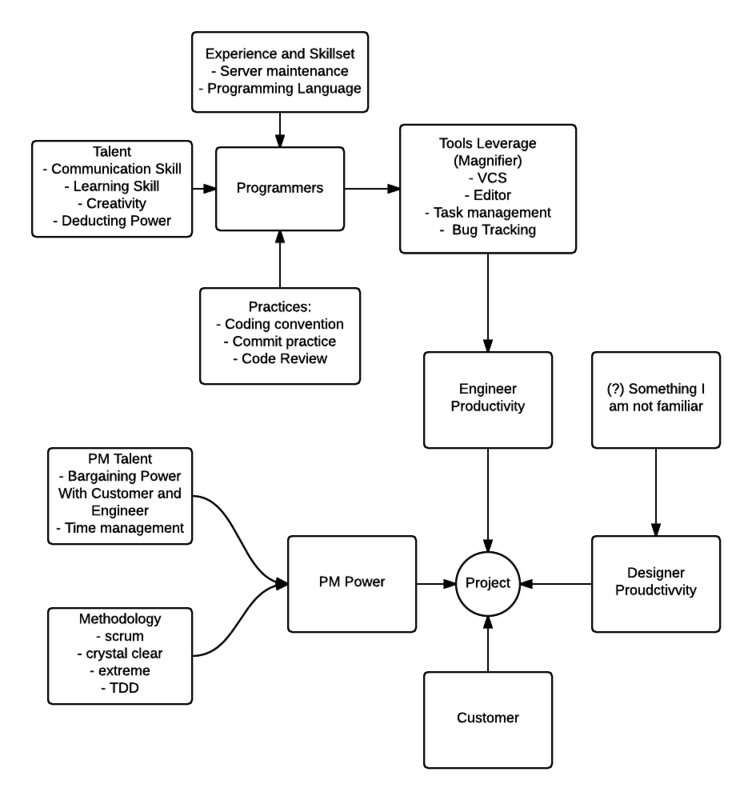 For example, the coding style is something not related with consulting process. But with consistent and compact styles, it would improve the readability and maintainability of the code, and make engineers respect the code more. It makes the entire project more stable. It is mandatory, and should not be regarded as something good-to-have. It should be same for some other core and non-process items, like unit-testing, research ability and presentation skills. I should explore more about that in another post.